LG has established a specialized “Software Update Center” in its home market of Korea. The new center will focus its operations entirely on providing timely updates to the various LG smartphones sold around the globe. The first update that will come out of the center will be an Android Oreo update for its 2017 flagship LG G6 smartphone flagship starting later this month. 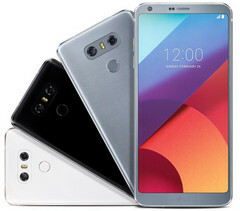 [By] providing customers worldwide with faster, timelier, smartphone operating system and software updates we will demonstrate to our customers that LG smartphones have long and reliable lifespans. If there is one way any of the major Android players can lift themselves above the competition, it is by delivering timely software updates to its devices. Fragmentation of the Android platform continues to be one of its most serious shortcomings, despite numerous promises from Google and its partners to lifts their game. The latest Google initiative, project Treble, should go some way forward to addressing the issue, although the proof, as they say, will be in the tasting of the pudding.